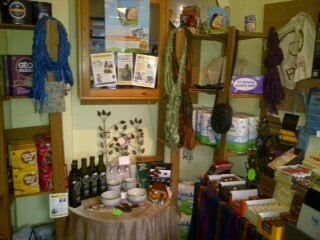 The Beehive is the only 100% Fairtrade Shop in Leeds. Volunteers usually work alone, but it is fine to bring a friend. Although it is good if you can work every week, it is also helpful if you can work less frequently, and even occasionally especially on a Saturday. We are flexible . Come and spend an hour or two working in the shop with an experienced volunteer to get some idea of the jobs involved. If you want to proceed, we will ask you to fill in an application form, and will require references. We find it then takes about 4 sessions working alongside an experienced volunteer to learn the till, making up Sale or Returns, receiving and pricing stock, filling shelves, making displays (optional), opening and closing the shop. It is ideal if these can be done consecutively ie once a week for 4 weeks. You can train until you feel confident. Help is usually a phone call away, if needed.